With Nuclear Magnetic Resonance (NMR) spectroscopy, over 200 biomarkers predicting short-term mortality have now been discovered. "If a person belongs to a risk group based on these biomarker concentrations, he/she has a multifold risk of dying in the next five years compared to the general population," claimed Professor Mika Ala-Korpela from the University of Oulu in Finland. The study is based on blood samples of over 17,000 Finnish and Estonian people.In the research, mortality was related to four biomarkers in the blood: levels of two proteins (albumin and alpha-1 acidic glycoprotein), lipid metabolism variables (size of large lipoprotein particles responsible for lipid metabolism in the body) and citric acid concentration. These biomarkers relate to normal metabolism and are present in the blood of all people, but according to the study, their relative amounts are crucial.The biomarkers were independent of known mortality risk factors such as age, smoking, alcohol use, cholesterol, obesity and blood pressure. The biomarkers associated with mortality also in healthy subjects with no diagnosed diabetes, cancer or vascular diseases. "This study is the first of its kind in the world. More research is needed for possible clinical applications in health care," added Pasi Soininen, head of the NMR metabolomics laboratory in University of Eastern Finland. 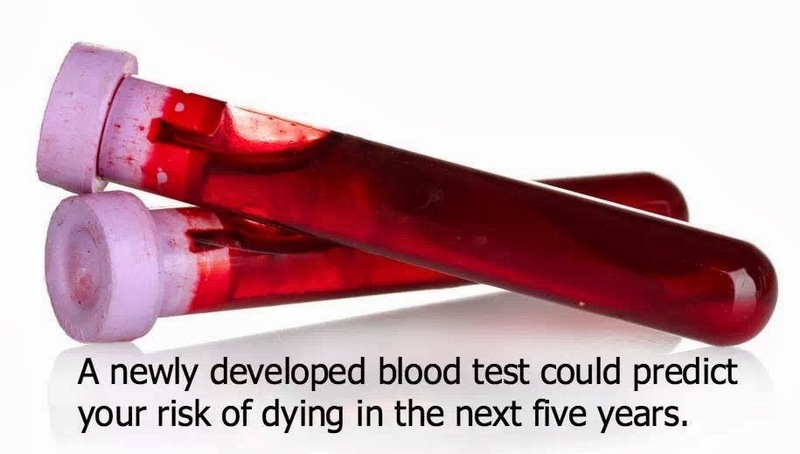 The new blood analysis method gives hope that in the future, it would be possible to identify increased risk of death at an early stage so that people could be directed to appropriate follow-up examinations and treatment. The new blood analysis method has been applied in recent years extensively for the research of metabolic diseases such as type 2 diabetes and cardiovascular diseases. Application of this methodology has also provided new information on the health effects of long-term exercise, said the study published in the journal PLoS Medicine.